“I started to develop symptoms in January 2008. They initially started with what felt like a water infection which I tried a few antibiotics for, this didn’t work. The symptoms turned into aches across the pelvis, a sensitive bladder and localised pain which came and went in different areas. 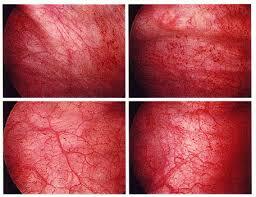 I also developed chronic Irritable Bowel Syndrome (IBS) around 6 months later. I was so worried that it could be something serious; I was also really frustrated as noone seemed to know what it was (It took over 4 years to diagnose and receive proper treatment). After being treated at Southampton Hospital, I was then told it was probably IC because they couldn’t find anything else. To be honest, I never really had a definitive diagnosis at this stage. Life went on and I moved to Bristol. I even coped on my own for a few years with absolutely no support. However, this all came to a head in early 2012 when the flare ups and pain became too much . The impact on my life was immense; I became extremely negative. I would break down in tears all the time and found it difficult to cope. It was at that point that I was referred for counselling. When I reached the lowest point last year, I knew enough was enough. I researched local specialists and used my health insurance to make an appointment. I had to have a biopsy which wasn’t nice, but finally I was given a definitive diagnosis of my condition, IC. I now have a set treatment programme which I have been doing for a year – I only wish I had done it all sooner. Since developing my condition, I have been on a mindfulness course that really helped me as stress and tiredness definitely makes my conditions worse. I have also tried a number of different diets and don’t have caffeine or anything too citrusy. I have to plan in rest days if I know I am having a late night or doing anything too energetic. I can’t stand for too long sometimes as the aches and pain can get worse so I need to make sure I can sit somewhere. I can’t wear clothing that’s too tight some days, so I try to buy things that are comfortable to wear. It is still a bit frustrating as I have tried so many diets but generally there isn’t a pattern or anything specific that sets it off. It is almost impossible to avoid flare ups because of this. It would be amazing if I knew that I had a pain or felt bad in a certain place because of a specific reason, but I don’t think I will ever know that. Despite managing a bit better now, I still worry a lot when I go out that I am going to feel ill and not be able to get home, even though I always manage to. It can make me feel quite unattractive when I am having a flare up, as that is all I can think about. I find it difficult to concentrate sometimes and worry that people think I am a bit vague or rude. It has definitely made me more of a worrier generally. Despite all this, I have realised how much inner strength I have. I can do an incredible amount of things I didn’t realise I could. I also really appreciate the days when I feel good that others take for granted. I am very proud of the fact that I work full time. I am a Regional Fundraiser for a children’s charity called Sparks and love that I can help people through my work. I also do sports (when I feel ok) have hobbies, go to festivals and music gigs and try not to let it stop me from doing anything I really want to. I just need to get better at saying no sometimes too! I have been extremely lucky with the support of my friends and family and my amazing husband. The problem is that there doesn’t seem to be much support, even though suffering from a bladder or stomach condition can leave people feeling extremely lonely and desperate. That’s why the Cystitis and Overactive Bladder Foundation is so good. 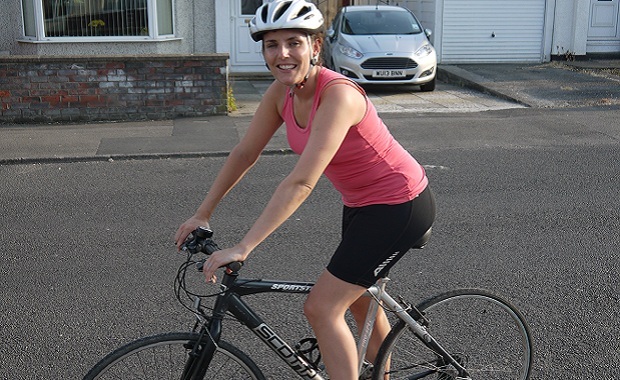 Laura recently completed a 60-mile cycle ride challenge to raise funds for charity.